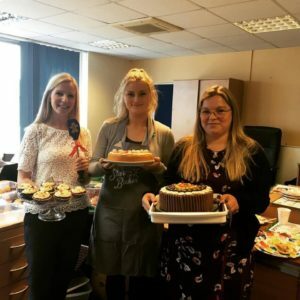 This October, Fenner Precision held a Coffee Morning and Baking Competition in aid of MacMillan Cancer Support. The World’s Biggest Coffee Morning is Macmillan’s biggest fundraising event for people facing cancer. People all over the UK can host their own Coffee Mornings and donations on the day are made to Macmillan. Last year, MacMillan raised over £25 million and are planning to raise even more this year. The Fenner Precision team raised over £110 for the charity, well done everyone.